CivilizationEgypt, Coptic, 500 C.E. – 700 C.E. 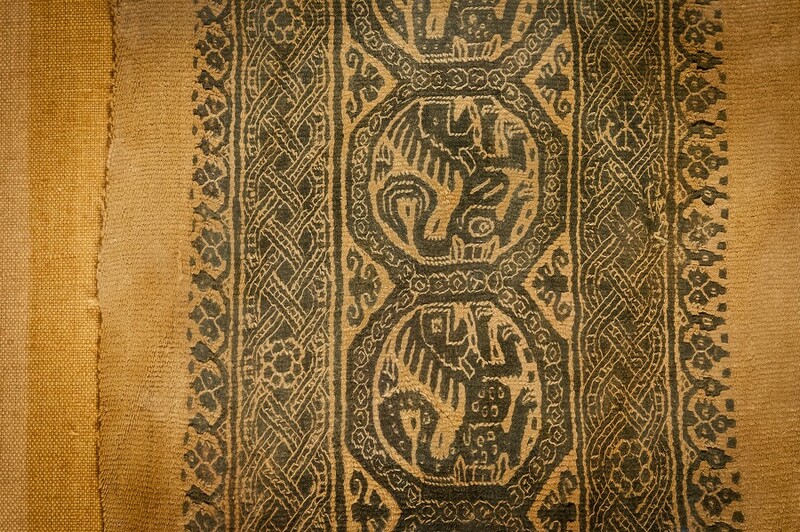 ProvenanceColl. A. and E. Offermann, Cologne (1965–2012). – Formerly private collection of Reichskanzler Franz von Papen (1879–1969), from June–December 1932 last but one Reichskanzler of the Weimar Republic, from January 1933 to July 1934 vice-chancellor in Hitler’s cabinet, later ambassador of the German Reich in Vienna and Ankara. Acquitted at the Nuremberg Trials of 1946, but one year later as one of the main culprits condemned to eight years in a labour camp as part of the denazification of Germany. Purchased in 2004 from Roswitha Eberwein, Antike Kunst, Göttingen. Declaration of provenance on back of frame: “Sammlung von Papen”. 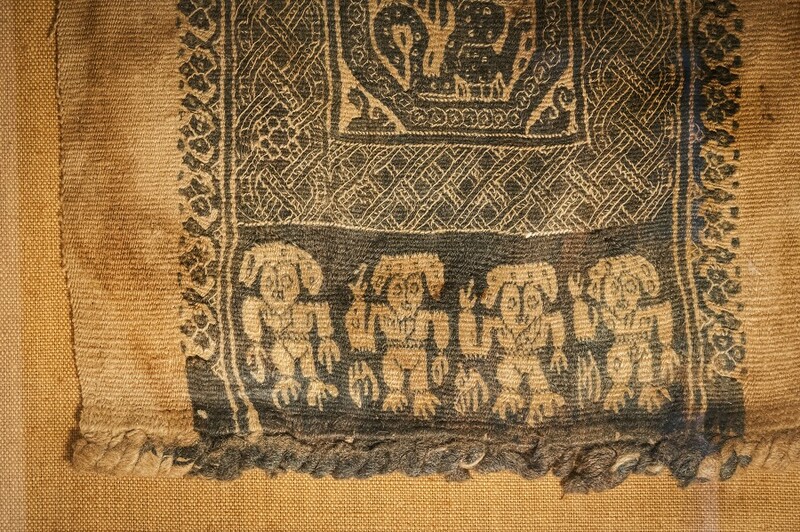 Important Woven Cloth with Lion Frieze and Ornamental Bands. 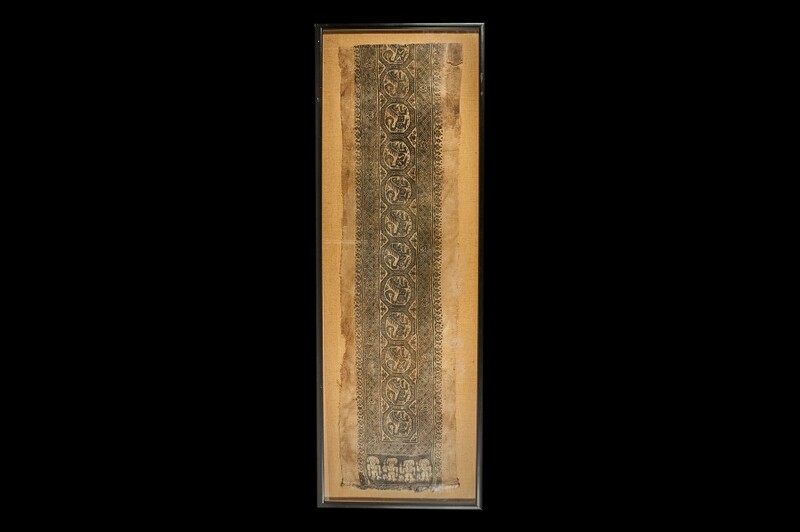 Two-coloured tapestry weave in silhouette style, fine-threaded, dark grey and beige. Sewn onto linen and framed. For style, ornamental structure and iconography, cf. Effenberger – 1976, 178, 216 f., 239, 270 f., pls. 119, 121, 125 (of later date, but with the same composition); Cat. Vienna – 2005, 155 f., no. 92 with illus.